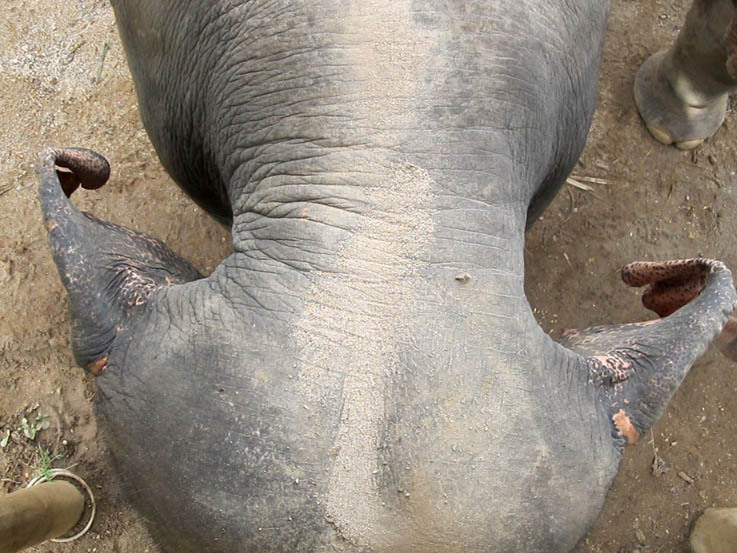 How to Assemble an Elephant – or – Building Your Pachyderm Successfully. Part 1. So, you want to build an elephant? Firstly, may I suggest that you first purchase a forest. 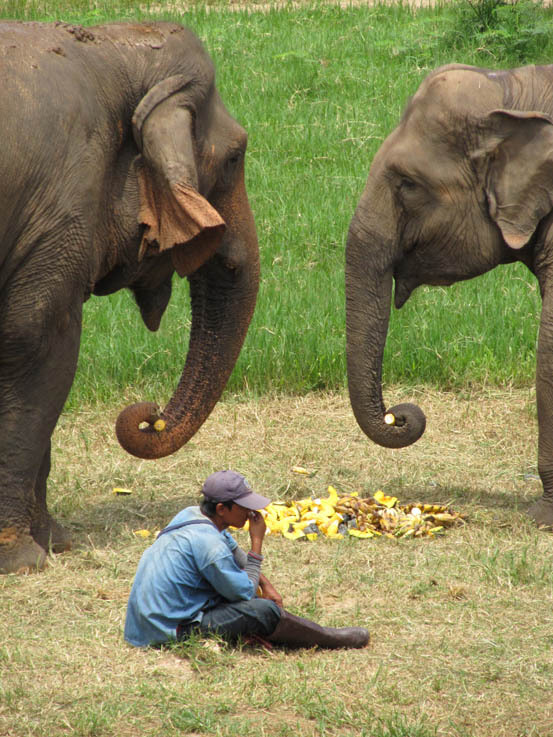 Elephants eat around 150 kg of food per day, so your garden won’t last very long no matter how big it is. That being said, they only digest around 40 percent of what they eat, so your compost heap is going to become mighty healthy. Thus the prudent purchasing of a sack factory so you can bag up and sell the associated by-products and therefore regain some of your investment is another idea worthy of looking at. Not to mention the size your potatoes will grow to. The instructions herein are for the assembly of an Asian Elephant DIY Kit (TM). To build an African elephant, you will need to purchase the African Elephant DIY Kit (TM) and follow the instructions peculiar to that model. Main body section- side view. main body section – top view. Of course, your main body section is going to be very heavy, so pop down to your nearest hardware store and buy yourself a couple of very strong saw horses on which you can adjust the height. Laying the main body section across these saw horses will make attaching the other body parts much easier to do. You will note that each Asian Elephant DIY Kit (TM) comes in a slightly different colour – don’t be alarmed, this is quite normal. All elephants look not the same. If your ele skin resembles a bristly pineapple, you definitely have the right package. Next, you’ll want to gather the legs together. This will make things a lot easier for when you want to attach the head, for support purposes. Ensure you count the legs – there should be only four of them. If you attempt to attach the legs without counting them first, and there turns out to be an extra one or two in the package, (this can occur with trunks also) you will end up with a polyderm. Believe me, this is not what you want. 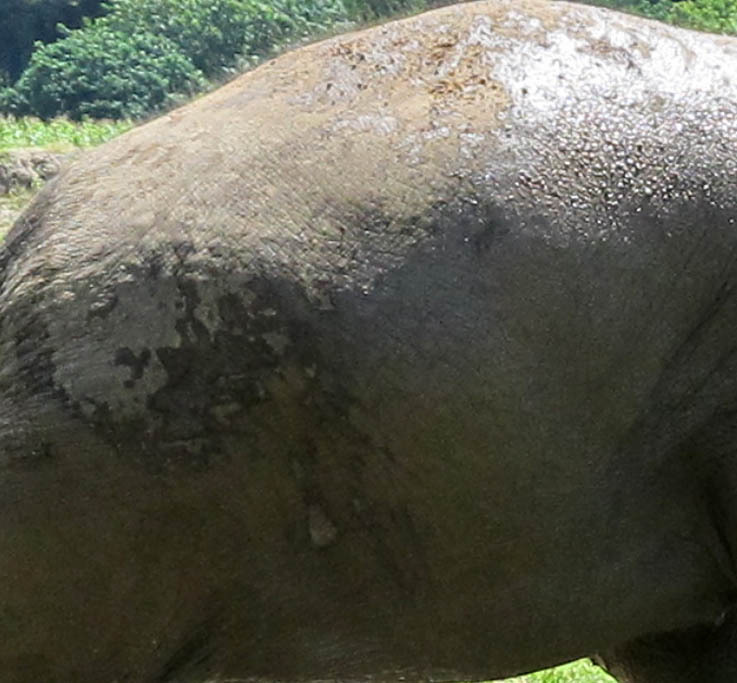 Pachyderms can move at speeds of up to 40 km per hour – Polyderms are much faster at both moving about and eating. A less than ideal scenario can pop up when your polyderm has just spotted the strawberries in your neighbour’s garden. An example of a Polyderm. Not to be mistaken for a Pachyderm. You may find it difficult to tell which feet go on the front and which go at the back. The best way to sort this out is to count the toenails. 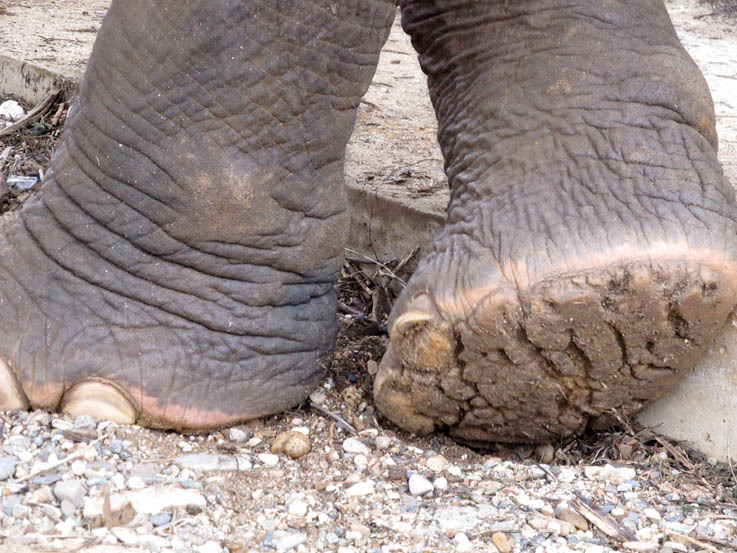 Asian elephants have five toes on the front feet and four on the back. African elephants only have four on the front and three on the back, so this is another good reason to count them at this stage. If you find that an African Elephant’s legs have turned up in your package by mistake, it’s much easier to go back to the store and swap them if you haven’t attached them yet. Don’t say I didn’t tell you! Don’t forget to count the toenails before attaching the legs. 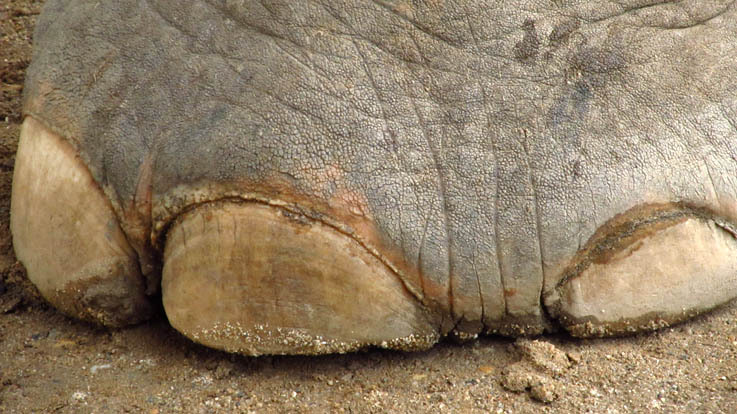 Don’t be afraid to poke and prod at your elephant feet – with your finger, not a sharp instrument. They should feel somewhat soft and spongy, particularly toward the back. You can’t see it, but on the inside they are actually walking on their tiptoes. They are made like this so that your elephant can quietly raid your neighbour’s strawberries without being heard. This is another reason why I told you to purchase a forest to keep your elephant in – it will allow you remain on good terms with your neighbours. Underneath the feet, there should be a ridged, pitted surface. 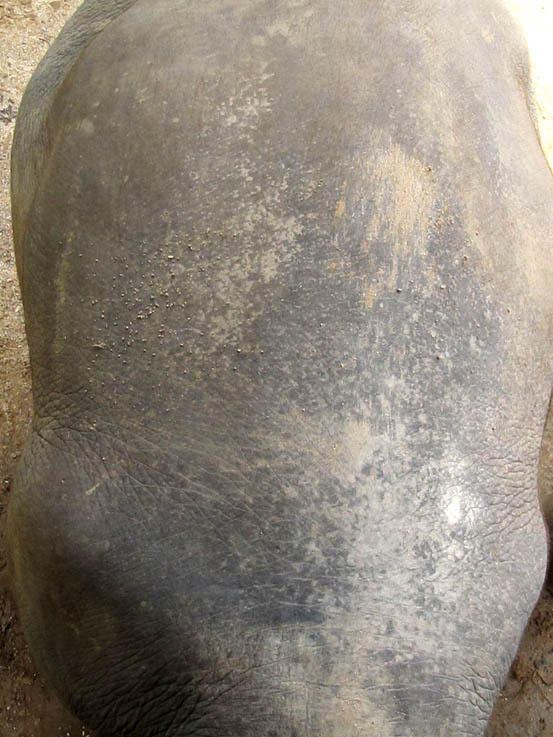 This will give your elephant stability on many different types of ground and prevents it from slipping over when it is stealing the butter out of your fridge – you may want to consider buying a bell to hang on your elephant at this stage, before it is up and running. Or else, a large padlock for your fridge. Only the unwise underestimate the intelligence of your average elephant, at their own risk and that of their food stores. 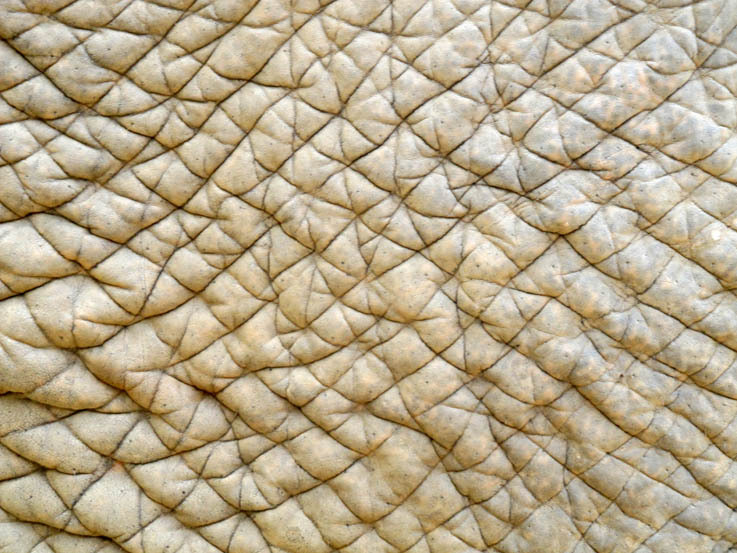 Check the surfaces of all your elephant’s feet for the Pachyderm Butter Brake System (TM). If everything looks as it should, it’s fine to go ahead and attach the legs to the main body section. Don’t worry if any seams are showing after the attachment process – they can be hidden with wrinkles at a later stage. Main Head Component – this is rather a large piece of equipment. The easiest way, I find, is to find a very large garden pot and rest the main head component on top of it. Upon close inspection, you will find that your main head component is rather a bony affair, with two humps near the top and a dented forehead. Once again, this is how you can tell your elephant is an Asian one. If it isn’t shaped as above, i.e. is smoother and lacks humps, take it back – you have the wrong type. The main head component – front view. This should be somewhat bumpy on an Asian elephant’s one. Having ascertained you have the right main head component, it’s fine to go right ahead and attach the ears. At the risk of repeating myself, check to ensure you have the right set of ears. You can do this using a picture of Asian elephants for reference. Hold the ears where approximately where they should be on the skull according to your picture and you will soon see whether you have the correct set or not by their size and spread. On an African elephant, they will be larger and reach up over the neck. 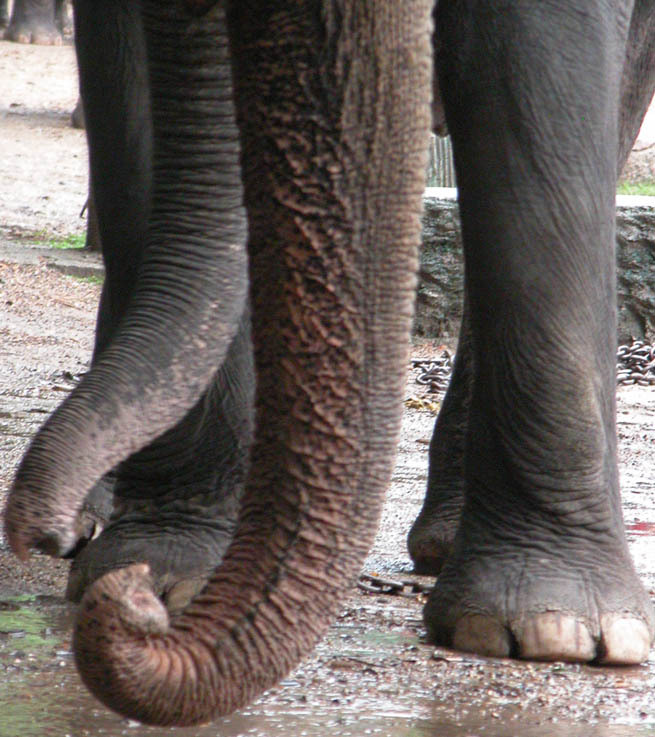 For your Asian elephant, they will be smaller and not reach over the neck. This is because all elephants are notorious gossips and want to hear about everything that goes on in their neighbourhood. And an African elephant’s neighbourhood is several times larger than an Asian elephant’s one, plus the Asian elephants have the added advantage of the Pachyderm Bush Telegraph System (TM), thus an African elephant needs much larger ears to catch up with the latest goings-on. As a small aside, they also happen to come in handy as a Pachyderm Cooling System. 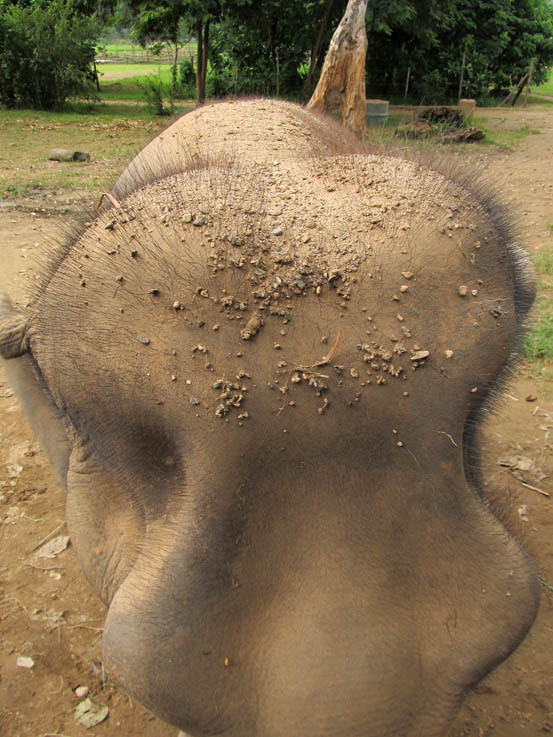 Elephant ear attachment – roof view. Okay, that’s enough for now. Put everything down, wash any glue off your hands and go and pour yourself a beverage of your choice – you’ve earned it. I’ve left Part 2 of How to Assemble an Elephant for the next time as it includes the trunk, which is a highly complex piece of equipment. Until then, bottoms up! 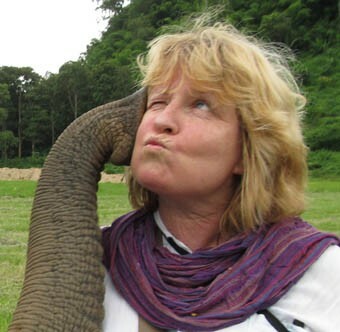 This entry was posted in Elephants, Ravings - random wafflings, Travel and tagged Assembling, building, Elephant education, elephant humour, Elephants, Humour, Instructions, pachyderm. Bookmark the permalink. I loooooove this post ! Made me roar of luaghter in my Saturday morning tea ! Oh well done! I do wish I had have had your instructions the first time I built an ele. I can’t tell you the mess I got myself in, the poor dear is still in therapy. But I have gotten much better at it and am making marvellous strides in creating my family group. I can relate. Building a pachyderm for the first time can be a convoluted and overwhelming experience. I hope this humble attempt in aiding pachyderm put-togetherers helps somebody, somewhere. Well I certainly exhibit more than my share of mumbling, before and after coffee (which is the nectar of the gods, btw). Postage stamps… hmmm I haven’t progressed to the album stage yet, after all I have only been collecting them on my travels for 13 years – why rush into things, I always say. Excellent read!! I have only ever had the manual for the African ele, so thanks heaps, will put it to good use! !